Entry filed under: Children's murals, Children's Theme bedrooms, DIY Kids decor ideas, Quick Mural ideas. Tags: ballerina mural, ballet bedding, ballet mural design, ballet murals, ballet painting idea, ballet room theme, ballet stencil, ballet wall art, ballet wall pattern, how to paint a ballet mural, tutu mural, tutu wall art. 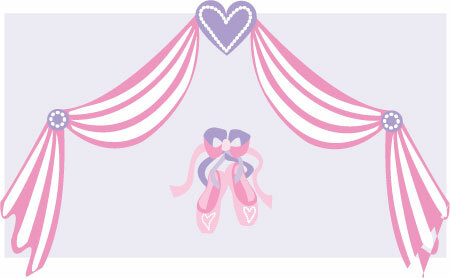 I love this Ballet Theme design. Really nice! love this design.i ll surely design my baby room like this.